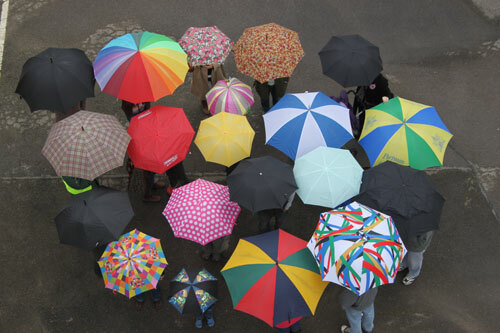 A group of villagers with colourful umbrellas got together on Saturday 5th May to have their picture taken for the international “Join the Dots” day for 350.org. All over the world on 5th May events took place to show that ordinary people do care about the effects of climate change and are prepared to do something about it. The picture was taken by Fire Station Manager Andy Elliott and a collection was taken for the Fire Service Benevolent Fund. If you want to know more about 350.org please go to the website and look for our picture there. I’d like to thank all those that turned out for this event which was one of about 30 in the UK.